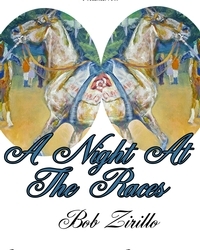 A Night at the Races-A Day with the Artist, an equestrian and landscape themed art exhibition by American Impressionist artist, Robert W. Zirillo, opens at the Danville Museum of Fine Arts & History on March 17, 2019, and remains on display through May 26, 2019. The exhibition corresponds with the museum’s annual Derby Day celebration on May 4! Mr. Zirillo’s website, zirilloart.com, where images of his artwork may be viewed states: “His Impressionistic style of painting captures all the beauty, grace and excitement of thoroughbred racing which brings the canvas to life. Horse racing is not his only passion. Bob also paints landscapes, seascapes, still lifes as well as equine polo paintings with all the same color, excitement and movement. His artwork can be found in private collections across the United States. Bob and his wife of forty-two years, Lynda, reside in North Carolina.